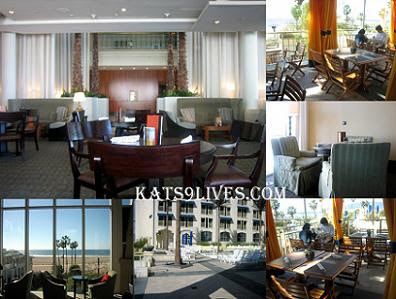 Kat's 9 Lives: Ocean & Vine : Pretty Good Deal For DineLA Week! 1/25/09 was the start of DineLA week and I had to hop on board to experience more restaurants in LA and at a great price... or so you think... make sure to compare their normal menu prices before venturing out there. As I have often encountered they have better deals normally or their menu items are not that expensive to begin with. The lunch menu at Ocean & Vine was definitely worth it and the portions were tremendous! 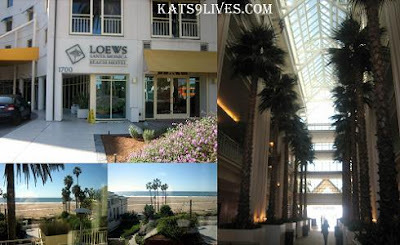 It is located inside the Loews hotel on Ocean Ave right off the beach. From the outside, the hotel looks plain and a little run down. As the doors open you will see a different world inside. We were skeptical about the way the hotel looked from the outside but when we walked in we were amazed at how nice it is! Everything was nicely decorated and gave off a warming/comforting feel. I wonder if it is an insider secret that this is actually a really nice hotel with a great view! Lunch on Sunday is only served near the bar/lobby area. You can choose to sit inside and look at the pool that is closed or site outside and look at the ocean. Unfortunately it was too cold that afternoon for us to sit outside so we moved in. We had 5 people in the group and they only have a small circular table with rolling chairs. It was a tight squeeze but we were able to all fit and even the food could fit considering how big the portions were. It's great to have PK & Ms. Lin around so that we can order every course on the menu and share! The perfect dates and flexibility! We agreed immediately that we will order all 3 main courses and desserts to share so that we can maximize what we try. What really caught my eye the night before was the Grilled Truffle Cheese Sandwich with Heirloom Tomato Soup. Even though it might be the least valuable item on the menu, I had to have it when I saw Truffle Cheese!!!! Mmmmmmmm goodness! Fortunately my sandwich was grilled very nicely with the cheese melted all the way through between two nicely toasted bread. This is something you can easily make by buying the Al Tartufo sold in many stores but I don't have a panini grill yet so I will settle eating out to get my fill. ^_- The soup was good and went well with the sandwich. I recommend dipping it in to add the flavor to try, but I actually liked eating them separately so I could savor the flavors. PK ordered the Grilled Pacific Salmon in an Orange-Habañero BBQ sauce with Jasmine Rice and Asparagus. They also topped the dish with thinly shaved fried Carrot slices. Flavor and value wise, I think this dish would have been the best choice. The salmon was nicely cooked, but it could have been a little bit more pink inside. I thought the flavor combination was very nice and the rice complimented the dish. This was a nice and light dish, which was perfect for lunch. We wanted to try all the desserts since they all looked nice. The crowd favorite to choose was the Cinnamon Funnel Cake with Berries and Strawberry Ice Cream. Sadly, this was not what they expected. This was not really a funnel cake but more like fried dough. We were all a little disappointed because we were expecting the funnel cakes you get at Magic Mountain or Fairs. Still, the presentation was nice and the taste was decent. The ice cream was the best part. I immediately chose the Lavender Crème Brûlée. It is one of my favorite desserts. We all agreed, where was the lavender flavor? Maybe it was for the best because if they didn't control the intensity of the flavor it would taste like soap. Their Crème Brûlée was tasty and had a decent consistency. The fruits on top were fresh and sweet, which complimented the whole dish. The last but not least was the Valrhona Chocolate Raspberry Cake. This would be my least favorite only because I hate the flavor of raspberries. The cake was moist and had an alcoholic hint. I thought the presentation was very nice and the chocolate strip was very pretty. It was night the flavor/cake for me, but it might be for you if you like raspberries. 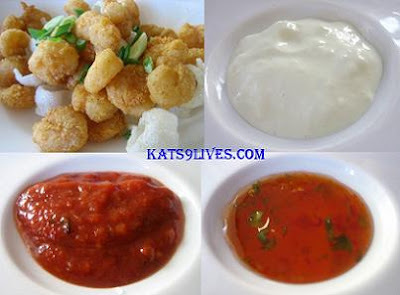 These dishes look wonderful! I wish we had a restaurant week here in DC.